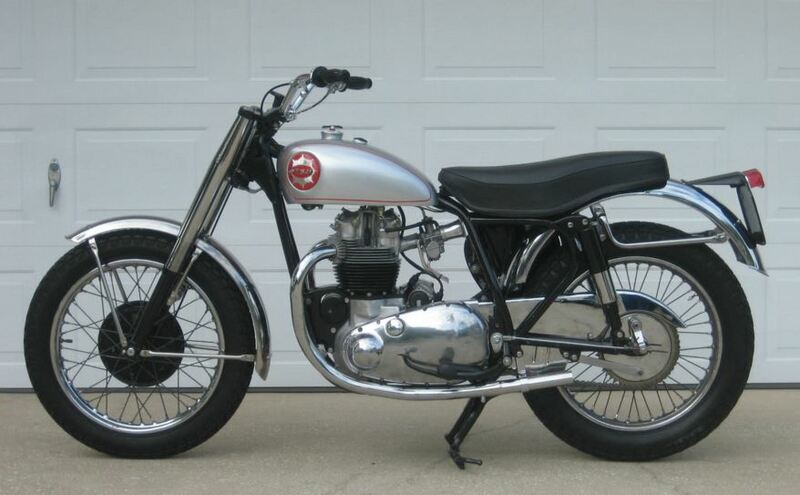 Post Sale Update: This Spitfire Scrambler sold for the BIN of $8,500 on eBay. Of the many BSA A10 models, one of the rarest would have to be the Spitfire Scrambler (aka the Rocket Gold Star Scrambler). Here’s a beautiful example that was acquired by the seller as a ‘rusted rubble of parts’ and rebuilt to ‘a quality standard.’ The only bummer in my mind is that as an early model, this doesn’t feature the high exhaust pipes that were introduced in 1959. The Spitfire Scrambler was built in response of Hap Alzina (BSA’s Western US distributor) for an off-road racer. It was only sold in export markets, and options included a rear grab rail and lighting kit. 1957 was the first year of production – it started with a Gold Star frame and halfway through the year switched to an A10 frame. There were plenty of ’57-only features – dual seat and no air filter, among others. 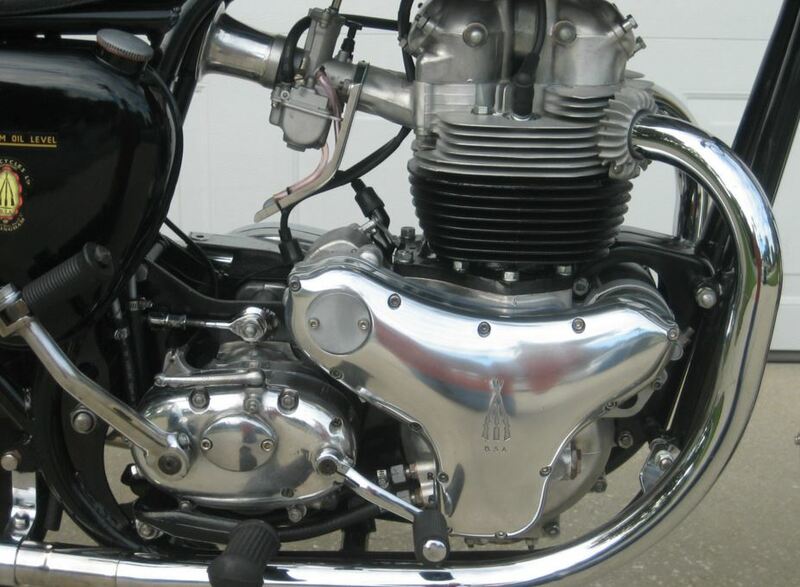 According to the seller, 238 Spitfire engines and 226 Spitfire frames were built in ’57. For more information on this Spitfire Scrambler (and a great set of period images/advertisements), check out this thread on BritBike where an individual restores the first ever example of the model.